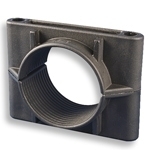 Ellis Patents lead the market with their range of single and two bolt hole fixing plastic nylon cable cleats including standard polypropylene or LSF (low smoke zero halogen) flame retardant cable cleats. Ellis Patents plastic nylon cable cleats fix, retain and support cables providing optimum cable containment in short circuit situations. 1) LSF (Low Smoke Fume) Cable Cleats, Nylon - rigid plastic cable cleats with VL94 accreditation to VL0 and limited oxygen index of 31%. 2) LSF (Low Smoke Fume) Cable Cleats, Polymeric - flexible plastic, fire resistant cable cleats with limited oxygen index of 33%. Prysmian BICON fire resistant, galvanised Iron Claw Cleats are recommended for cleating fire performance cables (FP400 FP600) to wall, cable ladder or cable tray - fire resistant cable cleats can withstand a 2 hour excursion to 1000 degrees Celsius and suit FP fire performance cables up to 54mm diameter. 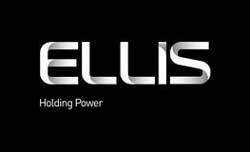 Leading cable cleat manufacturer, Ellis Patents has issued a stark warning that incorrect interpretation of short-circuit test reports is leading to inappropriate cable cleats being inadvertently specified and installed – a situation that is putting vital electrical cable installations and lives at unnecessary risk. The issue, according to Ellis Patents director, Richard Shaw is that the headline figure reported on third party cable cleat test reports is frequently, and mistakenly, taken to mean that the cleat tested deliver the same level of short-circuit withstand irrespective of the installation. Shaw highlights a recent report that showed a cable cleats withstanding a peak short-circuit of 138kA, but that on full reading it became clear that the test rig was set up with four trefoil circuits in parallel and that, under these circumstances, whilst the overall fault level was 138kA, each of the four trefoil groups only saw a quarter of the fault, equivalent to 34.5kA. “It’s easy to see how this report could have been misinterpreted and the product taken to be much stronger than it really was,” he said. In order to correctly interpret a report, Shaw suggests that those with specification responsibility should firstly ask two simple questions. Firstly, is the cable cleat tested the same as the product being offered? And secondly, is the test installation similar to the project installation? For example, a test of three single conductor cables in parallel secured with single cable cleats cannot be compared with a trefoil installation secured with trefoil cleats. 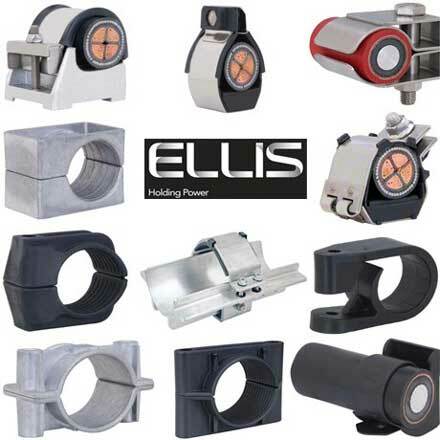 Ellis Patents prides itself on the extensive third party testing it puts all of its cable cleat products through prior to taking them to market and the fact that they will always agree to project specific testing to secure an order. Video : LSF (Low Smoke Fume) vs LSHF (Low Smoke Halogen Free - Zero Halogen). Flame Test. LSF vs LSHF - Cables & Accessories. There is a difference. To clear up the confusion that still remains over the difference between LSF (Low Smoke and Fume) and LSHF (Low Smoke Halogen Free) cables, FS Cables recorded a very simple cigarette lighter test to show the difference. Using a the same piece of unscreened data cable in both LSF and LSHF version, a simple cigarette lighter flame was applied to both cables. The results are startling. As you can see the LSF cable very quickly begins to burn and give off black smoke. By contrast, see how the LSHF cable burns cleanly when exposed to the same heat source. The sheath swells and will eventually burn through in the same way as LSF but it is only producing a tiny amount of white smoke and almost no flame. As a rule of thumb, if the application calls for a data, signal or control cable in LSF, question it. If its a public access building such as an airport, hospital, prison, or hotel, where evacuation in the event of a fire may be restricted you will almost certainly need LSHF cable.